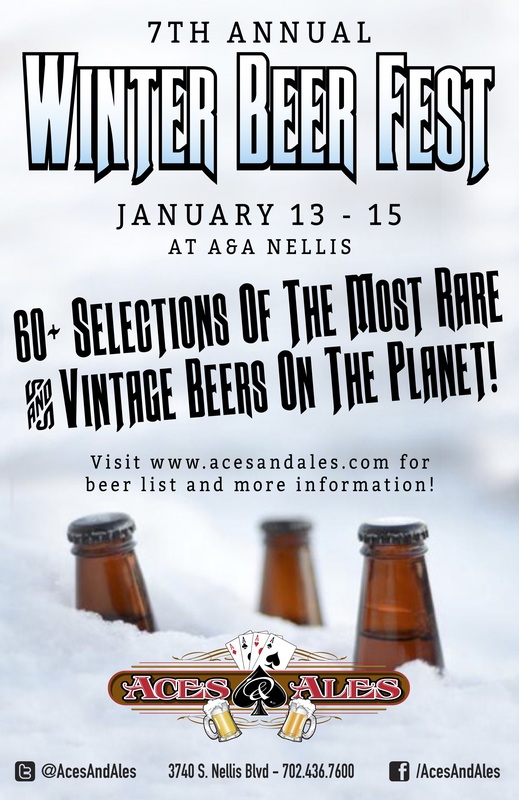 Looking for some fun this weekend, make sure to make it down to Aces and Ales at their Nellis location for their 7th annual Winter Beer Fest. With 60 craft beers to choose from there will be something for everyone. Starts today at Noon and runs thru Sun. See you at Fest. For more info click here.